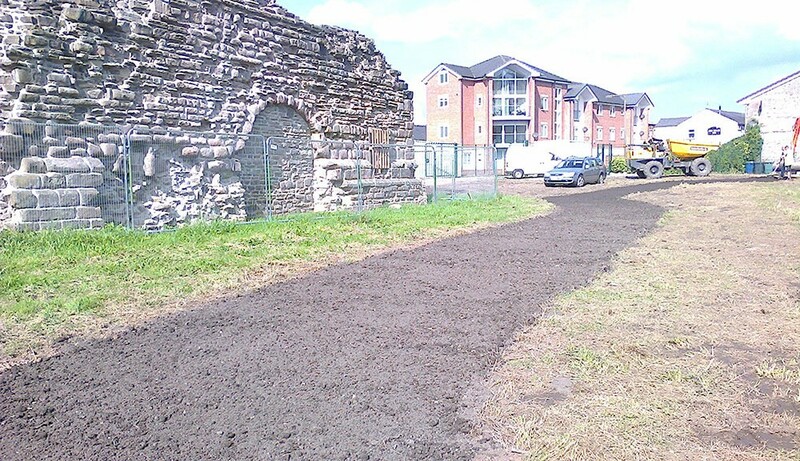 Work has begun on an 11 week project to landscape and interpret the site. The work, carried our by Groundwork Landscapes, will tidy up the site and lay out the footprints of the buildings that once stood near the Tower. It will also include the construction of a new link path to Close Park to create a circular route from the park, past the Tower and back through St Mary’s churchyard.